Organizations have many different computing needs, and no single cloud environment can meet them all. That’s why IT departments have increasingly adopted multi-cloud and hybrid IT configurations to support the various requirements of different applications and workloads. According to the 2018 State of the Cloud Report, 81% of enterprises have a multi-cloud strategy, with an average of 4.8 clouds per enterprise. “Multi-cloud and hybrid is the new normal because it’s important to put the right workload in right environment,” explained Dominic Romeo, the senior product manager for TierPoint. Romeo and Christopher Smith, director of product management for Cloudlink by Zayo, spoke about the growth of hybrid computing, and the importance of choosing the right type of cloud connectivity, during The Power of Hybrid webcast in December. The global public cloud services market is expected to grow by 17.3% in 2019, to $206.2 billion, according to research by Gartner. The fastest growing segment is infrastructure services, which is forecast to grow 27.6% in 2019 to $39.5 billion. That growth will mostly benefit the leading cloud providers, as the market consolidates. The top five cloud infrastructure providers, according to Gartner, are Amazon AWS, Microsoft Azure, Alibaba Cloud (internationally), the Google Cloud Platform and the IBM Cloud. Amazon is by far the leading public cloud infrastructure company, with nearly 52% of the market share, according to Gartner. Because cloud providers have different strengths, customers may choose different ones to meet different requirements, such as geographic range, storage options, disaster recovery, or capabilities related to the type of application or data. Connectivity—the bandwidth, latency and resilience of a connection--is another, and increasingly important, consideration. Having a reliable and fast connection between cloud providers and between the cloud and on-premise or co-located systems is critical as multi-cloud and hybrid infrastructures become more prevalent. 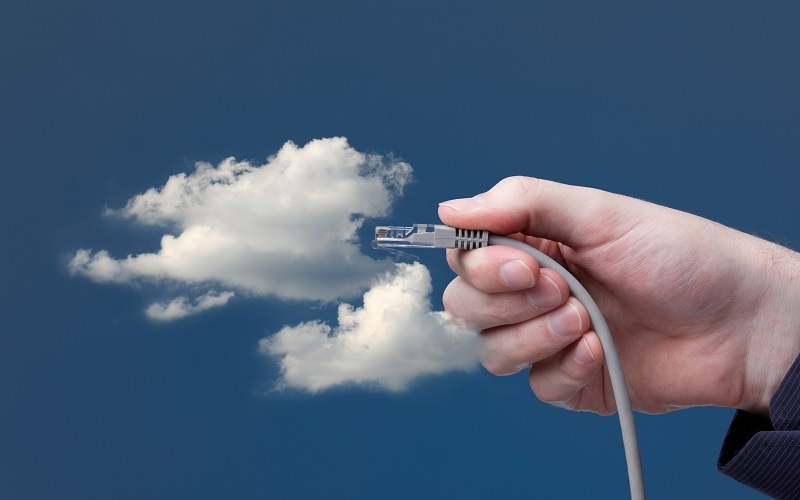 In the initial stages of a cloud migration, an organization may have only non-critical data in the cloud, with a VPN as the connection. However, a VPN offers no guarantee in terms of throughput, latency or performance as it travels over the internet. So once a company moves production applications and data to the cloud, it typically upgrades to a dedicated connection. “While Internet VPNs can work great, there are many situations when you want the guaranteed performance, latency and bandwidth of a dedicated connection,” explained Romeo. Cloud infrastructure providers usually offer a range of connectivity options, from VPNs to high-bandwidth private circuits, at metered or flat fee pricing. For example, along with VPN services, Microsoft has the Azure ExpressRoute private circuits that provide direct network connectivity between Azure data centers and on-premise or collocated systems. ExpressRoute connections are available in bandwidths ranging from 50 Mbps to 10 Gbps. For more bandwidth, Microsoft’s ExpressRoute Direct is a physically separate line that connects a customer to a Microsoft peering location and can provide up to 100 Gbps. Another trend in cloud connectivity is the “cloud exchange.” It’s a term for cloud and managed services providers that also connect multiple cloud platforms under one umbrella. For example, both TierPoint and Zayo have both been expanding their networks of cloud platform partners, including leading platforms such as Azure, AWS, Google and Salesforce, as well as colocation, backup, security, disaster recovery, and management services. A customer need only connect to the exchange provider to have access to a range of hybrid and multi-cloud options. That arrangement makes it less costly for customers to experiment with different platforms and get best-of-breed services from each. “It’s not just about the big three [AWS, Azure and Google]. We have customers who want to use one type of cloud for their Oracle needs and another to dabble in some other aspect of the cloud,” said Smith. As organizations adopt multi-cloud environments, and require interoperability between platforms, the exchange model of cloud connectivity may well become the norm. How do I ensure resiliency and redundancy of my connections? What are the latency requirements of different systems? Do I need to purchase additional network gear? Do I have the right staff to support it? What services providers can offer connectivity? To learn more about hybrid and multi-cloud connectivity, watch The Power of Hybrid on demand.